We've captured the all-natural soul of tzatziki and carefully combined it with our California sea salt to bring you this: Greek Tzatziki Sea Salt. 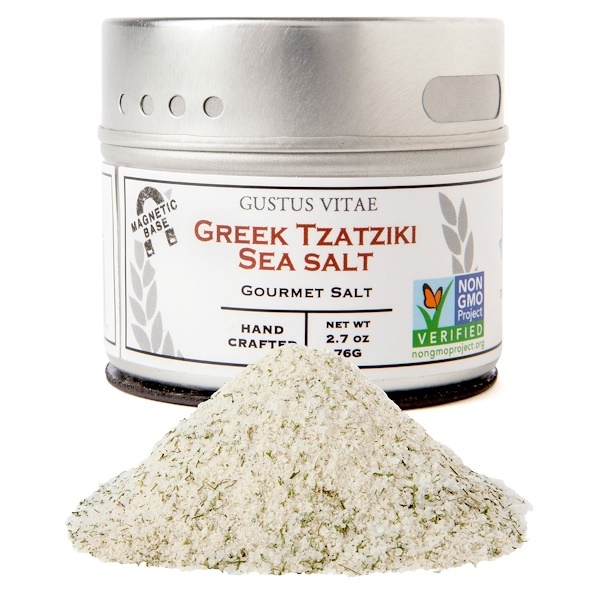 A fitting tribute to the Grecian isles, this sea salt brings wonderful flavor to vegetables, fresh salads, chicken and white fish, and authentically delivers all of the very best flavors of the taverna. 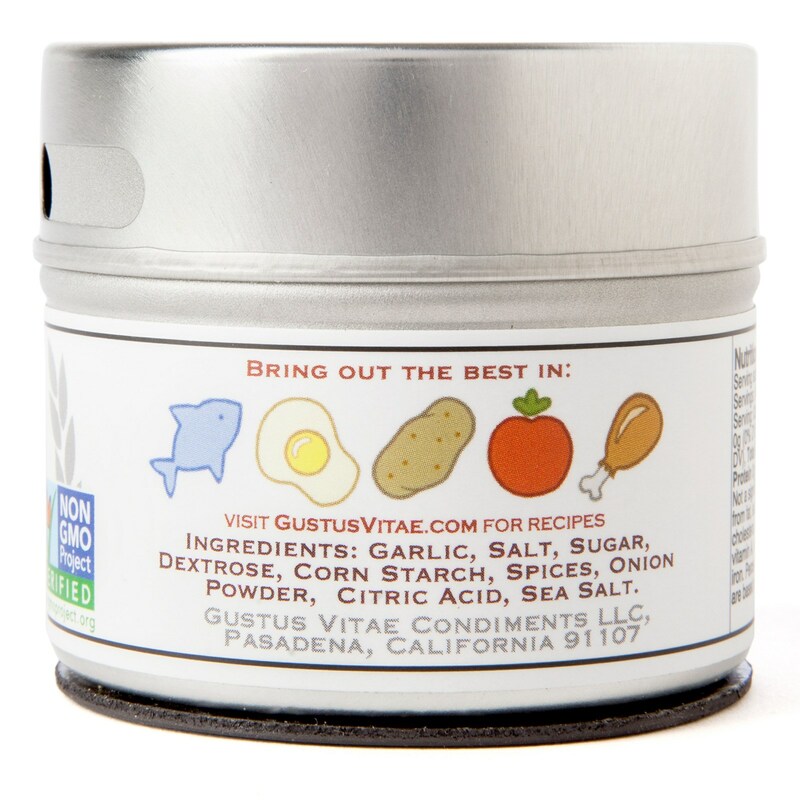 Made with only the highest quality sustainable ingredients, just a few shakes of this sea salt lend a dilly, mellow flavor to whatever you're enjoying, all without the mess and fuss of yogurt. 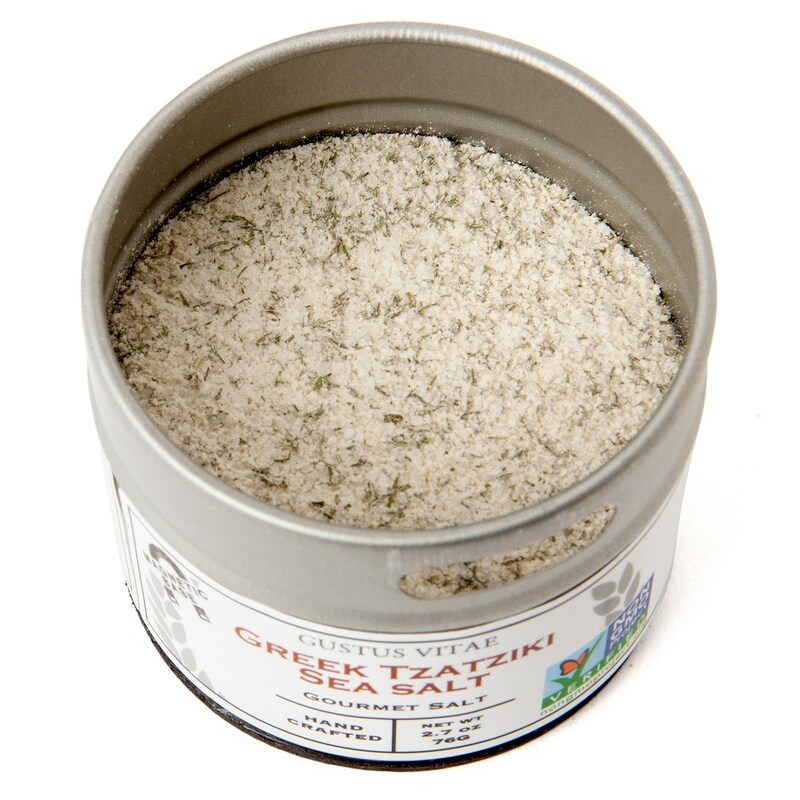 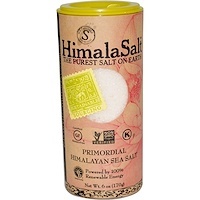 In addition to all the uses that you might think of, we're especially partial to this on eggs in the morning, or as a light dusting on cheeses like feta when preparing a appetizer plate when entertaining.Garlic, salt, sugar, dextrose, corn starch, spices, onion powder, citric acid, sea salt.